Home » Crime Stories » Shatta Michy slaps Shatta Wale in the presence of her mother? Shatta Michy slaps Shatta Wale in the presence of her mother? 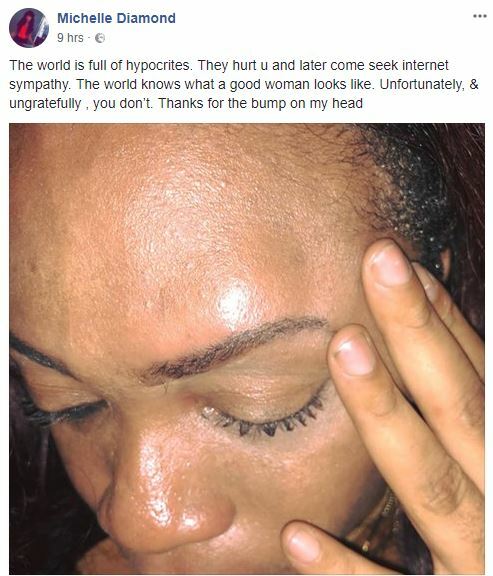 Ghanaian dance hall artiste, Shatta Wale and his ‘wife,’ Michy, have been accusing each other of assault since yesterday. 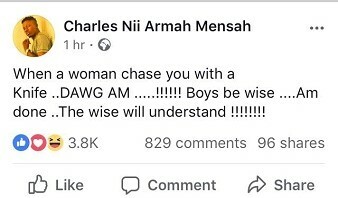 In a Facebook post, Shatta Wale alleged that Michy had chased him with a knife. 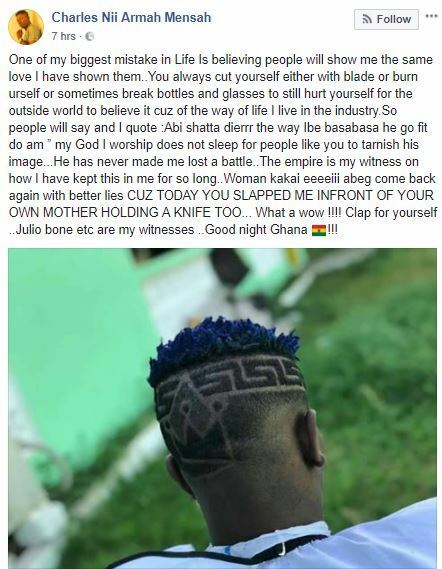 In another post, he noted that whenever he had a problem with Shatta Mitchy, she would feign an accident by cutting herself with sharp objects just to create the impression that he is the bad person. In the midst of the accusations and counter claims, some entertainment followers say that the development may be one of the couple’s usual stunts to be in the news.